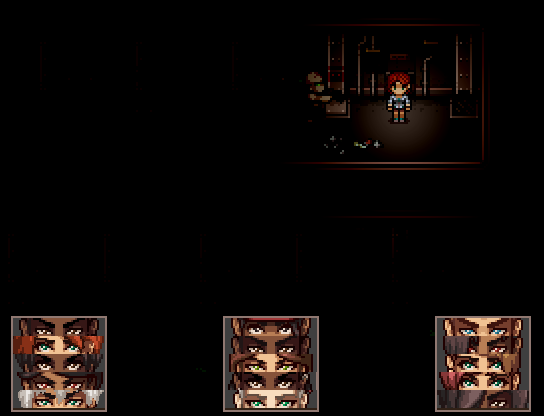 It's up to you to guide these five survivors, Nina, Brianna, Seth, Cameron, and Lucas through an old army tunnel in order to reach a shelter promising safety from the chaos of the outside world. 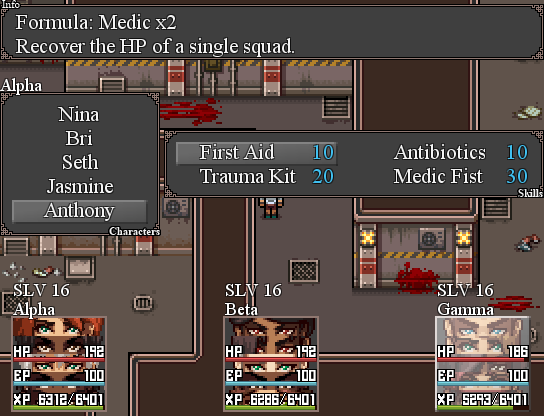 - Unique take on the turn based battle system by replacing equipment with separate characters assigned to a squad. 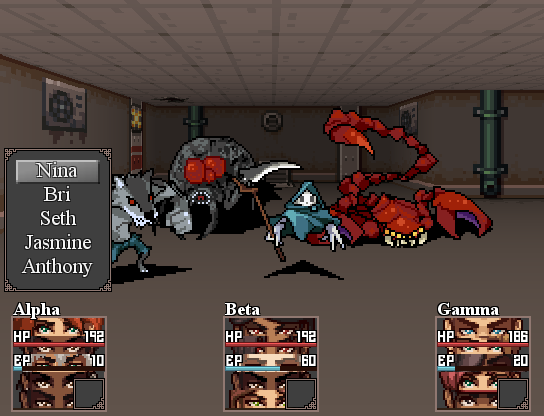 Squads have two turns for every one enemy turn. 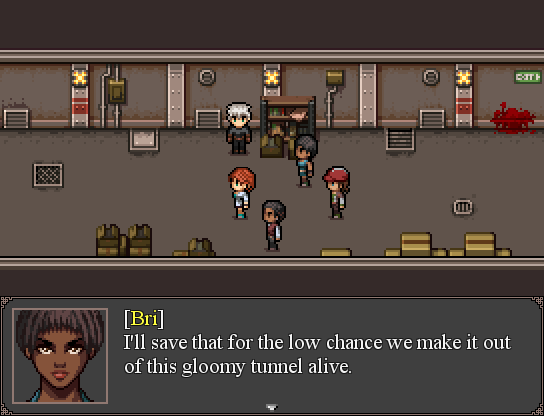 - Recruit a total of fifteen survivors each with their own personalities. - Stat boosting and lowering play a very large part by late game. 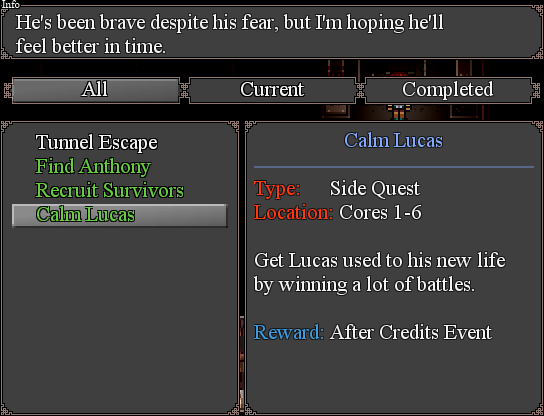 - No enemy is resistant to status effects. 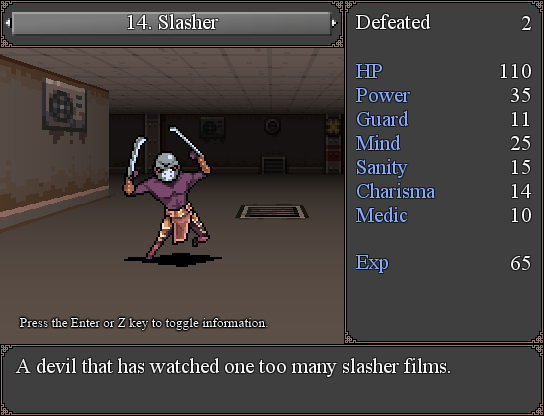 - Review enemy stats, weaknesses, and skills with a cool little bestiary. - No random encounters, and no need to grind. Escape works 100% of the time it's available. PS: This is not a horror game.